William Goodwin, Jr. Attorney Profile - Gebhardt & Kiefer, P.C. Mr. Goodwin's exclusive area of concentration is family law. He is certified by the Supreme Court of New Jersey as a Matrimonial Law Attorney based on his specific experience, meeting continuing legal education requirements, the recommendations of other lawyers and judges, and the successful completion of a full-day written examination. He represents either husbands or wives in divorce cases and related matters, including the various collateral issues such as custody and parenting time, alimony and child support, division of assets, defending and prosecuting domestic violence proceedings, and the preparation of pre-marital agreements. He is also a trained mediator and performs mediation services for those couples who desire to resolve their differences with the assistance of a third-party facilitator. In addition, Mr. Goodwin is trained in collaborative divorce. He has also lectured on and written articles on various family law topics, and appeared on local cable television stations to discuss and answer questions about New Jersey Family Law topics. Mr. Goodwin has successfully represented various individuals in a variety of ways. While relatively few divorce matters actually proceed to trial, he has tried a number of cases. He has obtained judgments awarding primary custody to his clients, and has also succeeded in obtaining Court approval for his client to relocate with a child out of the State of New Jersey, over the objection of the other parent. Conversely, he has succeeded in preventing adverse parties from removing children over the objection of his client. He has also tried cases where his client has received a disproportionate share of the assets based upon the peculiar fact pattern of the case. He has also obtained numerous awards for alimony, child support and other benefits for clients and their children. Mr. Goodwin is also a skilled and experienced negotiator, an invaluable tool considering that more than 95% of divorce cases ultimately are settled. He has successfully negotiated agreements awarding his clients a greater than 50% share of the marital assets. He has also negotiated agreements to award his clients substantial awards of support, and has obtained significant periods of parenting time for his clients. Mr. Goodwin uses his negotiation experience as a mediator, a process in which he acts as a third-party facilitator to assist a husband and wife to come to their own agreement, thereby saving significant legal costs and time. In 1978, Mr. Goodwin graduated from Seton Hall University where he received a B.A. with High Honors and was also a member of the National Political Science Honor Society. Mr. Goodwin obtained his Juris Doctorate degree from George Washington University National Law Center in Washington, D.C. in 1981. He is admitted to the Bars of New Jersey and the Federal District Court for the District of New Jersey. Mr. Goodwin joined Gebhardt & Kiefer in 1983. He has been a partner in the firm since 1988. Mr. Goodwin is a member of the New Jersey State Bar Association, where he was formerly a member of the Family Law Executive Committee. He is also a past president of the Hunterdon County Bar Association. He is a former member of the District XIII Ethics Committee and a former member and former chair of the District XIII Fee Arbitration Committee. Mr. Goodwin received the Hunterdon County Professional Lawyer of the Year award for 2002 from the New Jersey Commission on Professionalism in the Law. He was named to the NJ Super Lawyers lists for 2015, 2016, 2017 and 2018**. 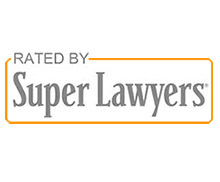 **The Super Lawyers list is issued by Thomson Reuters. The selection methodology is described at www.superlawyers.com/about/selection_process_detail.html. The AVPreeminent rating is issued by Martindale-Hubbell. Details can be found at http://www.martindale.com/Products_and_Services/Peer_Review/FAQ.aspx. No aspect of this advertisement has been approved by the Supreme Court of New Jersey. "Changed Circumstances? The Impact of Increased or Decreased Parental Availability Post-Judgment on Parenting Time Arrangements", by William W. Goodwin and Diana N. Fredericks, New Jersey Family Lawyer, Vol. 35, No. 4, February 2015. Please see the Gebhardt & Kiefer Family Law Blog for insights and tips from our family law attorneys.